Beep! Beep! ItÃ¢â‚¬â„¢s almost time for the royal wedding ofPrincess Candace and Shining Armor, and your Twilight Sparkle pony figure hasa special wedding vehicle to drive! The special decorations and bright colorsmake it a stylish ride, and you decide which way the vehicle goes with theremote control. Does she need to pick up flowers or a cake for the wedding?Send her out "on the road," but donÃ¢â‚¬â„¢t forget she can pick up another pony orother friends (sold separately) for company! 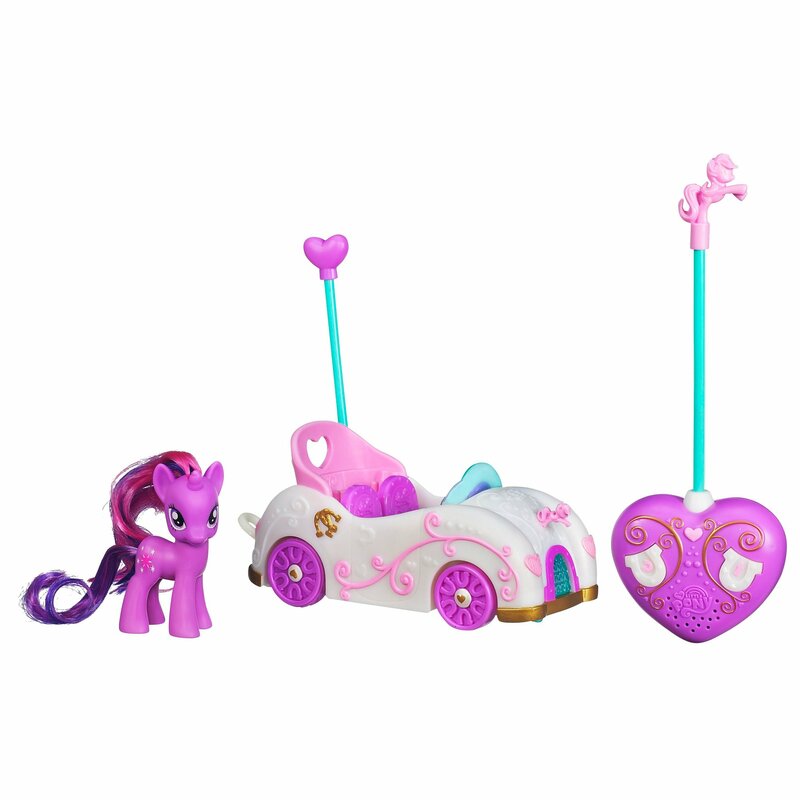 YouÃ¢â‚¬â„¢ll love "driving" thisbeautiful wedding Twilight Sparkle RC Car vehicle! From the Manufacturer Beep.Beep. ItÃ¢â‚¬â„¢s almost time for the royal wedding of Princess Cadance and ShiningArmor, and your Twilight Sparkle pony figure has a special wedding vehicle todrive. The special decorations and bright colors make it a stylish ride, andyou decide which way the vehicle goes with the remote control. Does she needto pick up flowers or a cake for the wedding? Send her out "on the road," butdonÃ¢â‚¬â„¢t forget she can pick up another pony or other friends (sold separately)for company. YouÃ¢â‚¬â„¢ll love "driving" this beautiful wedding Twilight SparkleRemote Control Car vehicle.